The show began with the patented Fox & Friends audio of a police siren with the visual of a police car and the words that framed the message: "PC Police." Carlson reported that "a small tribe of American Indians [note that he doesn't use the descriptor "Native American" which is used, by Native Americans to describe themselves] are demanding that the Washington Redskins football team change its name because, they claim, the current name is offensive." As he spoke, the chyron set up the requisite Obama bashing yet to come: "Presidential PC Police? 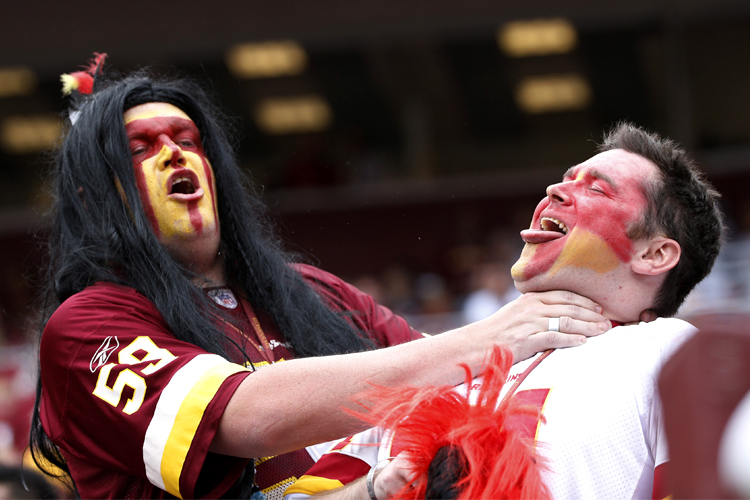 Says He'd Think About Changing Redskins Name." Carlson continued "President Obama has surprisingly weighed in on this." Video of Obama's comment was shown in which the president said that if he were the owner of a team which had a history of offending a sizable number of people, he'd "think about changing it." The leggy tanned and toned Anna Kooiman asked if this "team's name is really offensive [noooo] or is this just another example of PC police running amok? [oh, yeeees]. 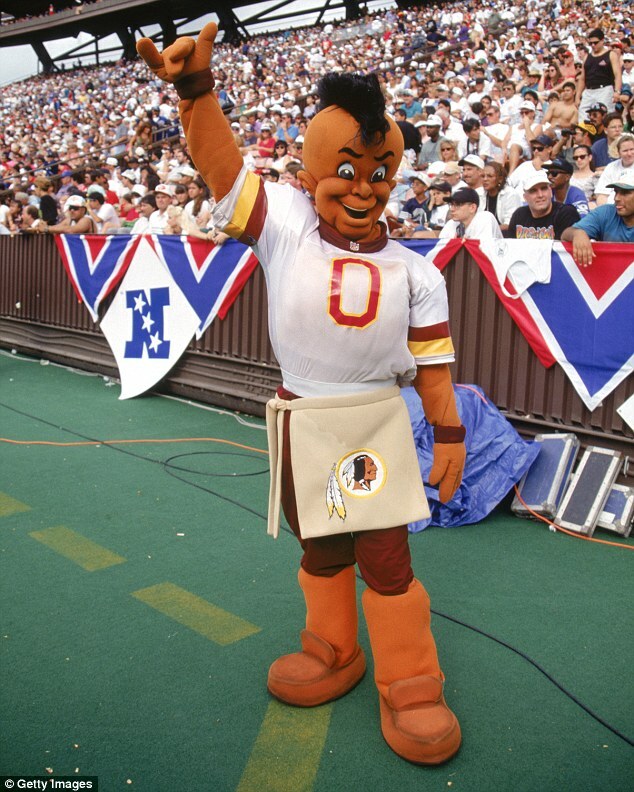 She tossed not to somebody who could explain the offensive nature of the name but Redskins historian Mike Richman who proceeded (duh) to defend the team name. He asserted that only a minority opposes the name and cited a 2004 study that showed that 90% of Native Americans don't think the name is offensive. Carlson asked why the president "felt compelled to weigh in with the government closed down and the Middle East on fire." The chyron covered both the anti-Obama and anti-PC memes: "DC Goes PC, President Says Redskin' Name is Offensive." Carlson chortled as he said "of course the fans don't think it's offensive" and that "they're honoring the name." Richman noted that Obama was asked the question but took issue with Obama's use of "sizable." He said that the question is "where you want to draw the line in terms of defining it as offensive." Kooiam cited an AP Poll that showed that a majority of Americans don't want to change the name. She mentioned that Kansas City Chiefs and Atlanta Braves an asked why people are calling for a name change now especially when Native American group came up with that logo for themselves. Richman explained that a member of the Blackfoot tribe helped design the logo. Tucker Carlson "joked" that he is Scandinavian and asked if "there's any sense if I can get the Minnesota Vikings to change their name and get a cash settlement from them." Richman, obviously not a real historian, said it was an "excellent point" and that there are other sports nicknames that could be considered offensive such as the "Cleveland Indians, the Atlanta Braves with the tomahawk chop, and - wait for it - the Vikings pillaging the coast of Europe." (WTF?) He said that you could make a case for "all" of these nicknames and dismissed the controversy because the names are just "sports nicknames." Carlson "joked" that "as a Swede, I'm highly offended." 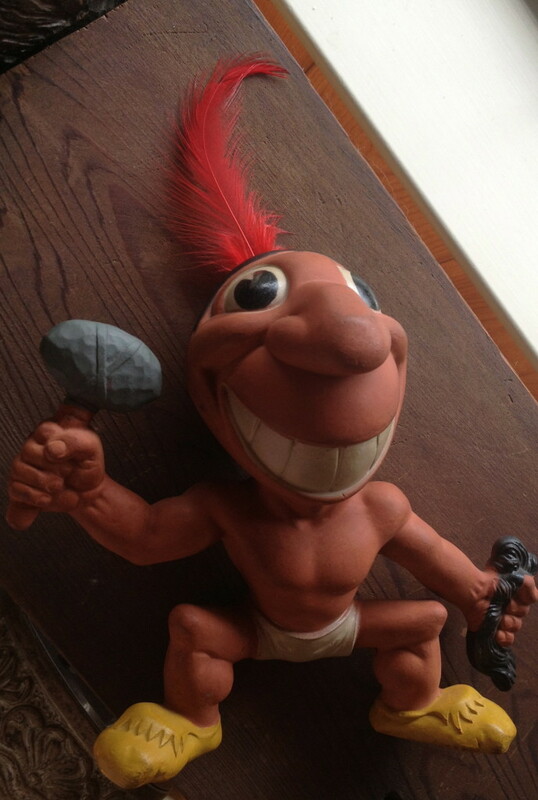 Perhaps Tucker should go into a bar, in the midst of Native American territory and shout "redskins." That would be amusing! This being a Fox show, relevant information is withheld such as the fact that there was a bounty on Native American scalps (red skins) as proclaimed by the 1755 Phipps Proclamation. For some Native Americans the team name is just as offensive as, one suspects, Boston "micks" or NY "wops" would be to those of that ancestry. Word to Carlson - "Viking" isn't an offensive term and those of Swedish ancestry don't have the history of brutalization and economic oppression that the native people do. Once again, we see why the America of America's Newsroom is an apartheid state of mind. The thing about this is that it’s a very, very double edged sword. Every team that’s named after a group has some degree of offense in either their name or their mascot- The Minnesota Vikings have a stereotype to bordering offensive mascot, and the less said about the insensitivity of the Cleveland Indians franchise, the better. While I can see the offense in what they’re doing, doing something about it, other than getting them to tone it down can be considered an affront to free speech. I can go on and on with the links… But my point is that people who know me also know that I accept most people have a fair amount of accidental racism in them, so I let things slide unless I know that it’s deliberate and unrepentant. The Redskin franchise is not only deliberate as hell, but they see how much further they can go every time they cross the line enough to get complaints. Yeah, Fox News is gonna defend that to the death- Just because it’s the only free speech they will. Change the name of the team to the Palefaces. See how that works out. Tucky can’t help it. He takes after his daddy. A few years ago, Tucky’s Daily Crap accused Actor Glenn Beck of stealing other conservatives’ materials from their blogs. The Actor’s fans had unkind words for Tucky and his publication. We encourage the masses to remind conservatives of Tucky’s accusations against the Actor. Ftucker (the “t” is silent) Carlson once again demonstrates why it is better to born wealthy rather than smart.